Magazine: Premier Issue! 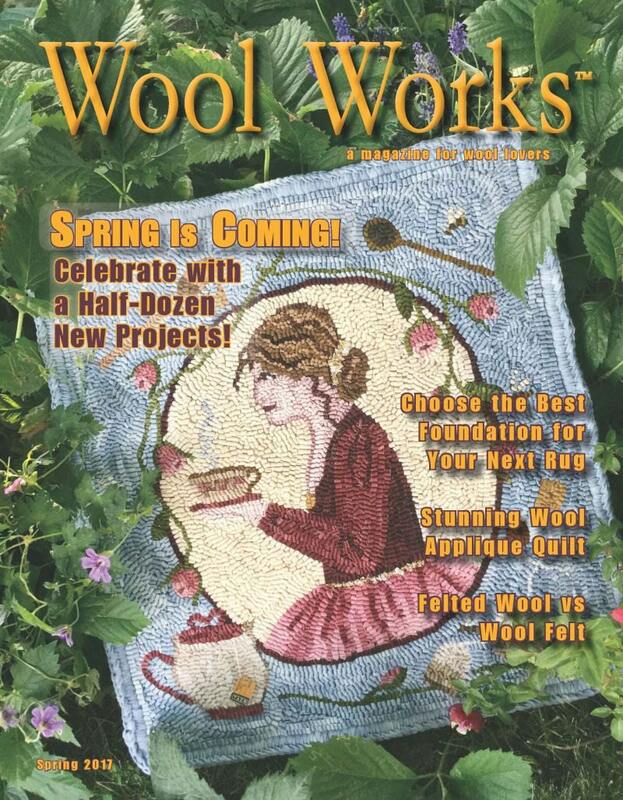 - WOOL WORKS Spring 2017 - A Magazine for Wool Lovers! PREMIER ISSUE! - WOOL WORKS Spring 2017 - A Magazine for Wool Lovers! 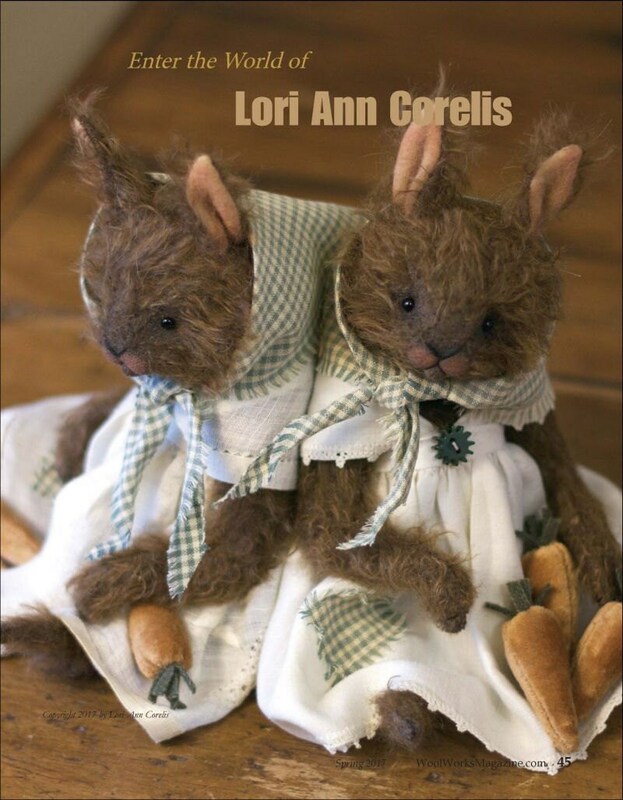 HAVE YOU SEEN THE NEW WOOL MAGAZINE??? you'll see beautiful projects from the best designers in the industry who join us in enriching your love of wool. each issue will contain several projects to inspire you to create something special for your home, your family, your friends. and our contributing designers share those values. visit quilting and rug hooking guilds and meet women who use their handcrafts to give back to their communities. Master the art of fancy embroidery stitches and learn the best methods for perfect wool applique. 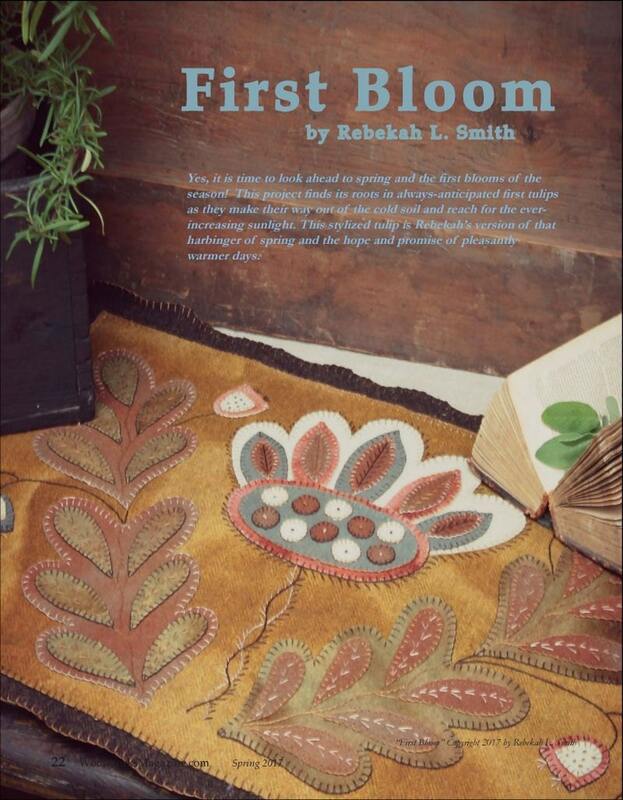 Want to learn the best foundation cloth for rug hooking, how to recycle wool and which rug hooks are favored by designers? You've come to the right place. 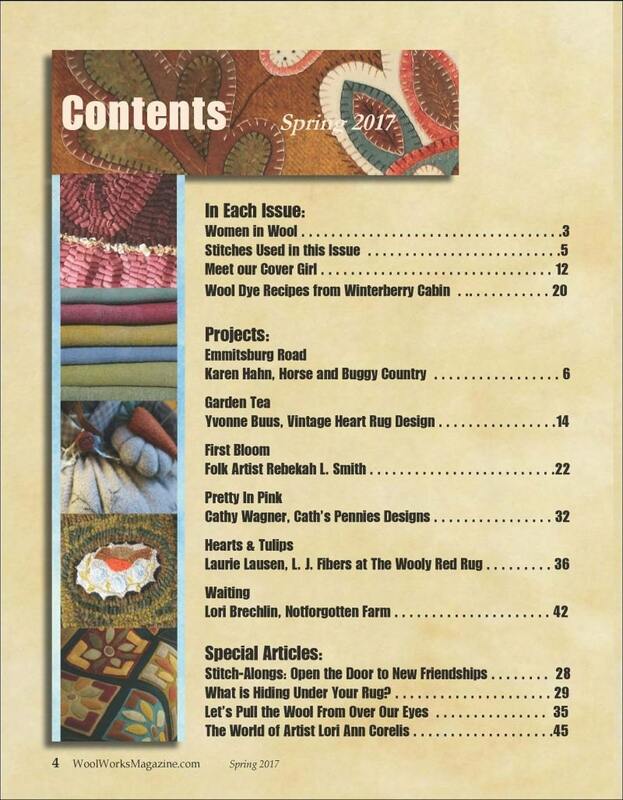 Wool Works™ Magazine is published four times a year in the spring, summer, fall and winter.